As soon as Christmas is over, I cannot deal with Winter anymore. Suddenly, the cold dark afternoons aren’t so cosy anymore without the glow of fairy lights, and I find myself counting down the days till lighter evenings and Spring. Apart from the cold blustery days, I despise Winter for the fact it’s so dark all of the time. Currently as I write this, it’s 2pm and I have pretty much all the lights on. 2pm! How crazy is that. So you can imagine how much of a nightmare it is to take blog photos in the Winter. The amount of times, that I have had to delete photos cause they’re too grey or dark, is too many to count, which can be pretty annoying. However, I feel like I’ve finally found some ways to brighten photos in the Winter, and I thought I’d share them today. 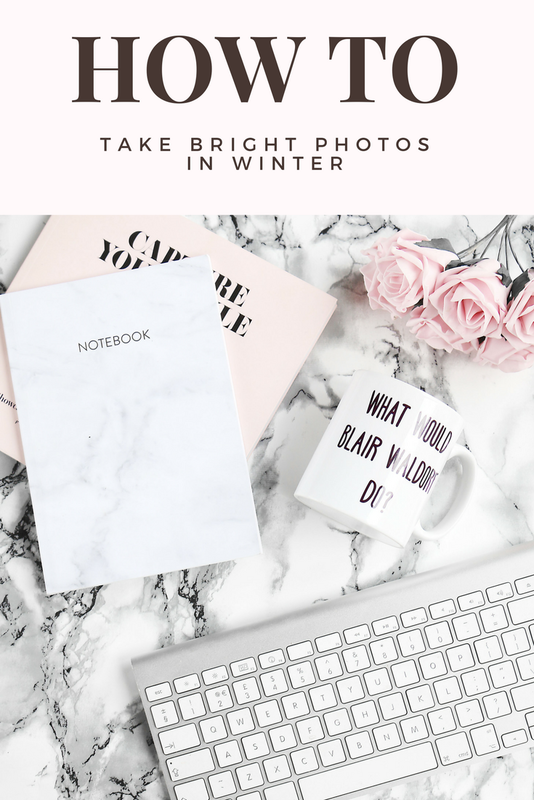 Unfortunately, you need to be organised in the winter when it comes to taking blog photos. I tend to check the weather and plan to take photos on days that are bright. I usually find that the morning/early afternoon are the best times to take photos, usually after 2:30 is when it’s starting to get dark. It’s a small time window which is definitely annoying but this is when I find the best photos are taken. I know that if you work full time, it can be tricky to take photos when you don’t have a lot of time, however if you can try and take photos in the day time with as much natural light as you can. I tend to take mine by the french doors going into the garden which brings in a lot of light, I find that taking photos at the same level as natural light works really well. So take a picture on a table next to the window, or by a glass door, if you get what I mean. If you really need to, then studio lights can be used, but I prefer not to as I feel like it doesn’t make pictures look as good. However soft box lights, which you can get from Amazon/Ebay for not too much can help if you have to take photos at night/whenever you can. I bought a reflector last Autumn and oh my god, I can’t believe how much of a difference it makes! I got one from ebay for about £6 and it’s been such a huge help for brightening photos. I tend to place the reflector opposite the glass door so it reflects the light back again over the photo. 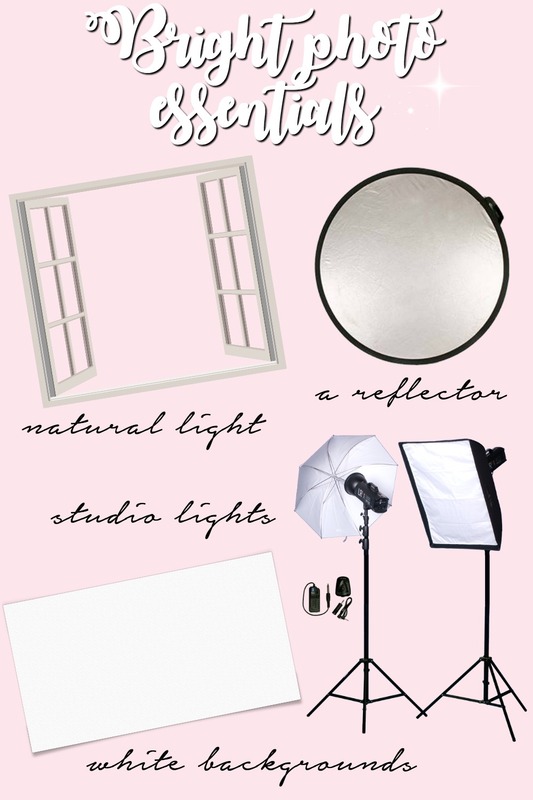 This helps to eliminate shadows and makes the overall effect brighter. I definitely would recommend in investing in one! I used to always take photos on the Auto mode of my camera, however, as soon as I started to learn about my camera properly (I use the Canon 70d btw) I was amazed by how much brighter I could get photos. I’m still not a whizz with cameras, however this post really helped me to understand things. I tend to up the ISO on really dark days as this really helps, but don’t up it to anymore than 800 as then the quality can get a little grainy! If you take a lot of photos on your phone, I learnt another tip recently too which is a life changer. 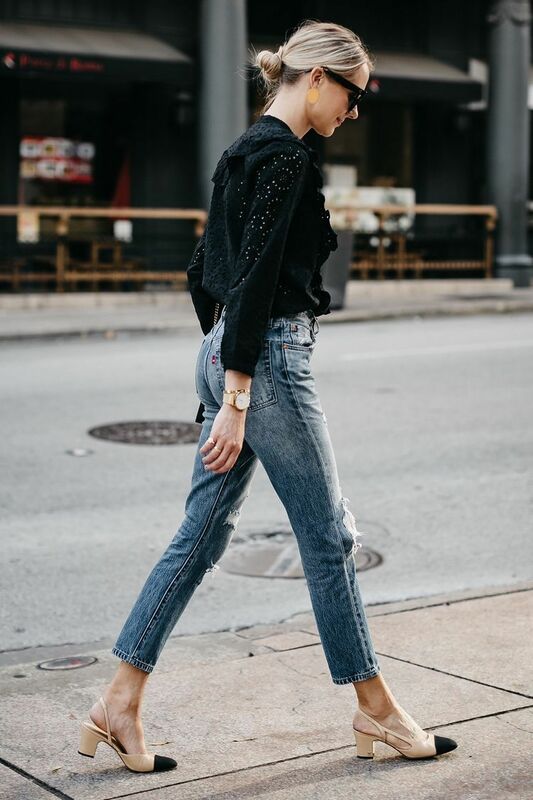 When you are taking photos, hold down on the screen and a little sunshine icon should turn up, when you see this, bring the level up as this will brighten up the overall photo. I try to not edit my photos too much, but sometimes you have to Brighten photos when editing and for when I need to do that, I will use curves. You can find the curve tool in Photoshop which is what I use, but PicMonkey also has a curve tool too. I tend to play with this to make the photo brighter and lighten the shadows. I find this is less harsh that upping the exposure which is what I used to do. 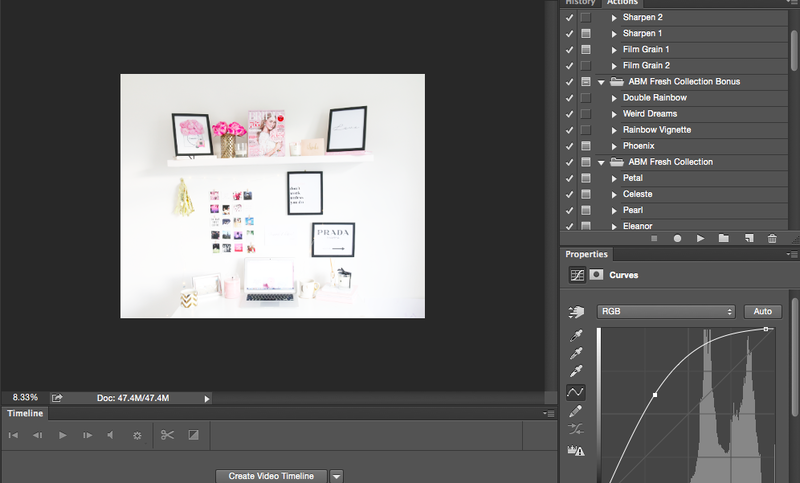 This is all I usually do to my photos as I still want them to look naturally bright. 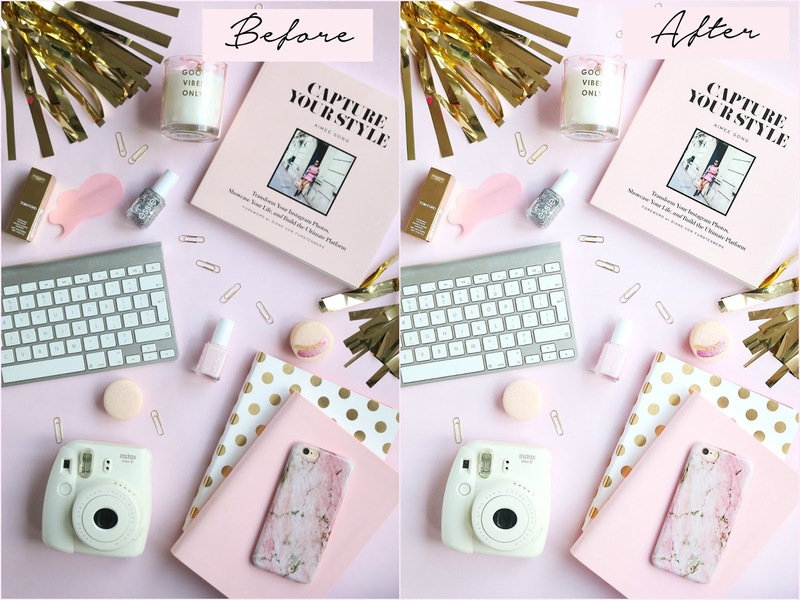 If I’m editing a picture on my phone for Instagram, I’ll use the app Facetune to help brighten up the overall image. I use the Filters section and then use one call ‘Lighten’ this brightens up the whole photo perfectly. 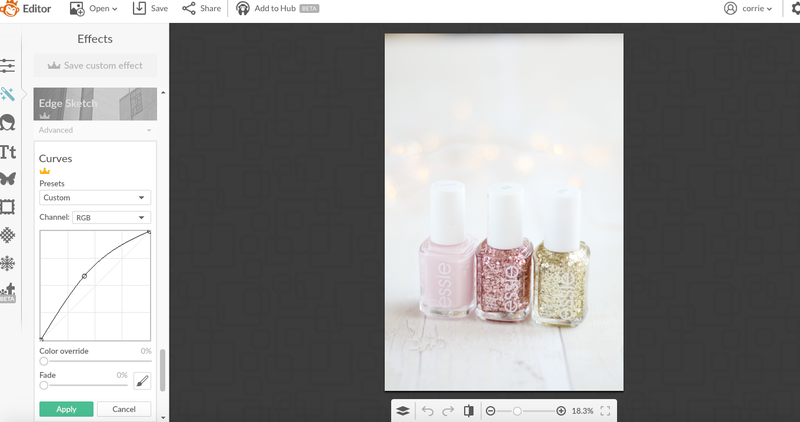 Sometimes it can be a little too much for products in the image, but you can choose where to apply the filter by using your finger, so it’s a really handy tool to know about, if you like a bright Instagram theme! 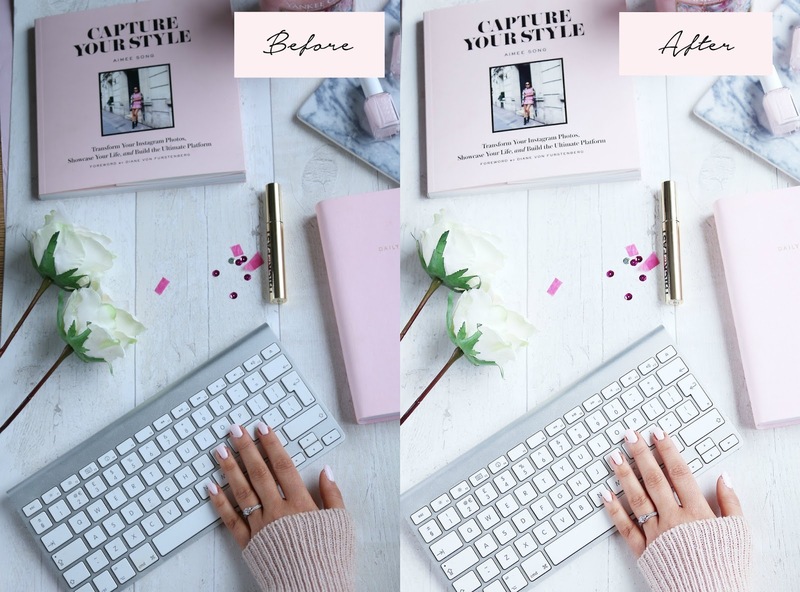 The whiten tool on Facetune is also good for brightening up dark/dull backgrounds and making photos brighter! Usually I find though, that by taking photos with lots of natural light, using a reflector and upping the ISO is usually all I need when it comes to taking nice bright photos for my blog. 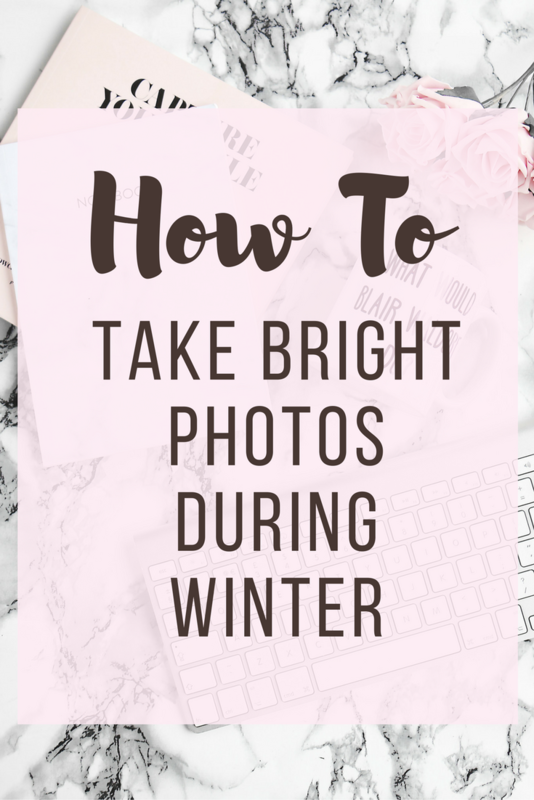 I hope these tips have helped, if you are struggling with dark photos this winter! Let me know your top tips for taking bright photos in the winter! Next Post Blogging Advice, Helpful Or A Hindrance?